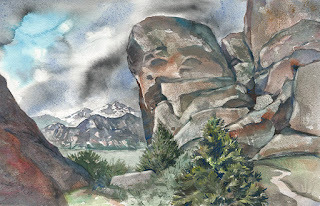 Memorial Day Weekend was a chance to go paint in a place that is magical for me, an amazing natural place very close to where I grew up in Oakley, Idaho. 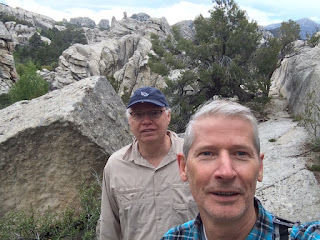 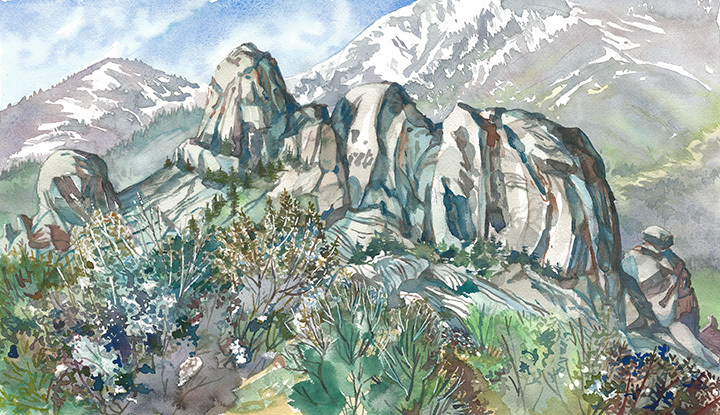 Brad Teare and I spent two days exploring and painting at the "Silent City of Rocks" and Castle Rocks State Park in the adjacent valley. The first day it rained on and off which made for dramatic skies and light, and we had to protect our paintings and duck under rocks or climb in the car to stay dry. The second day was perfect weather and sunlight.